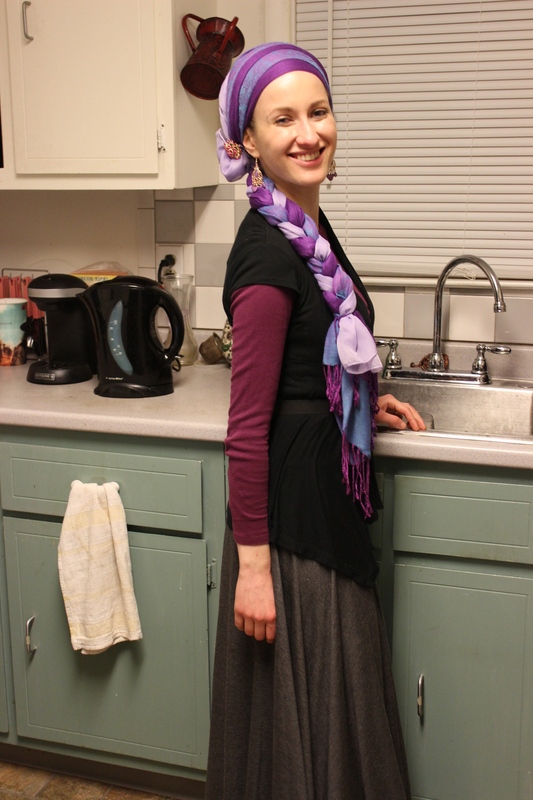 The tichel I wore was a happy experiment! 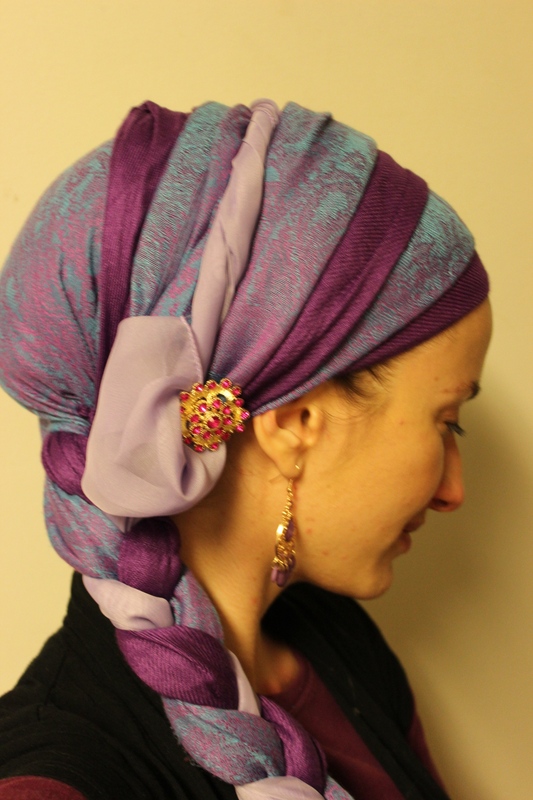 I am really enjoying using pins to create interesting drapes and poufs with the ends of scarves. This one was no exception! Hope you are all doing well! Are there any new looks or ties that you’ve been experimenting with? Beautiful. Was the lighter scarf that was pinned shorter than the others? Aw, that’s pretty, Andrea! Thanks for sharing! I had not realized how tiny you are! No wonder your scarves seem so much longer than mine. It’s fun to see you in your “natural habitat.” Thanks for everything you share. I’m 5ft 4 so not that tiny!! That is so pretty 🙂 I love the way you wrap and your colors! Question: Where did you get your skirt? I and several friends of mine live in the Midwest and are having a horrible time finding a place for decent, simple, tznius style clothing. Anything you can recommend?